About the Author: Mindy McGinnis is a YA author who has worked in a high school library for thirteen years. Her debut, NOT A DROP TO DRINK, a post-apocalyptic survival story set in a world with very little freshwater, has been optioned for film my Stephanie Meyer's Fickle Fish Films. The companion novel, IN A HANDFUL OF DUST was released in 2014. Her Gothic historical thriller, A MADNESS SO DISCREET won the Edgar Award in 2015. Her newest release, THE FEMALE OF THE SPECIES is available now! Noteworthy experiences while reading this book: It was a really grasping book. I did not want to put it down. Check out author's other books or related books? I haven't yet. Recommend this book? Maybe. Depends on who. 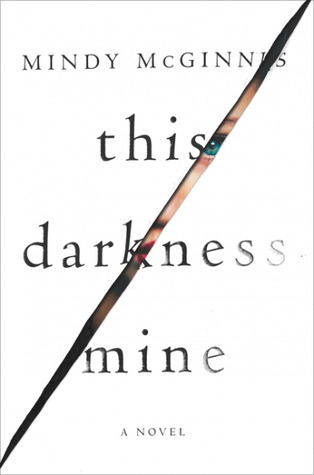 Notes and Opinions: Okay so this book super messed with me. It took me all day to figure out how I felt about it. It was interesting and definitely not what I expected however, it had a REALLY dark and twisted ending. Now normally I like dark and twisted but this was a bit much for me. I'm truly scared there are people in the world like the main character and we don't know it because they are good at hiding things and lying. Like I said, it messed with my brain but it was a good read. Go Into This One Knowing: It is DARK! It has gore and there is sick (both mentally and physically) kids in it. It deals with mental illness. Check out my #bookstagram page (@the.literary.coffee.faerie)!